I really enjoy Halloween, whether it is because we never celebrated the occasion as kids and I now feel I have to make up for it, I'm not quite sure. Either way, it is a good excuse to get some decorations out and have a little bit of fun. 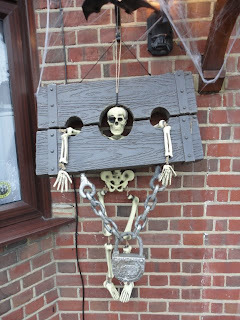 Each year we decorate our house to entice the little trick or treaters into our lair, and this year was no exception. I carved the pumpkin Sunday evening and so it was all ready to go and just awaiting night to fall before glowing out for the street to see. And for anyone who tricked us? Well they just had to look at what happened to the person that did this round at ours last year. We had plenty of treats for all who rapped on our front door. 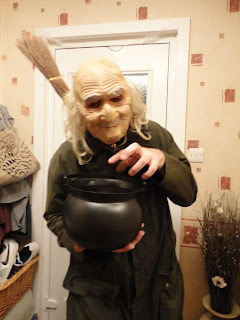 As it got later and the children knocking began to get older my Dad decided to help out, handing out the candy, mum was checking first of all to make sure they were old enough to get a little fright. Haha, that's so funny, esp the WWOTW!!!! So glad you scared some teenagers, I don't like it when they scare old people. 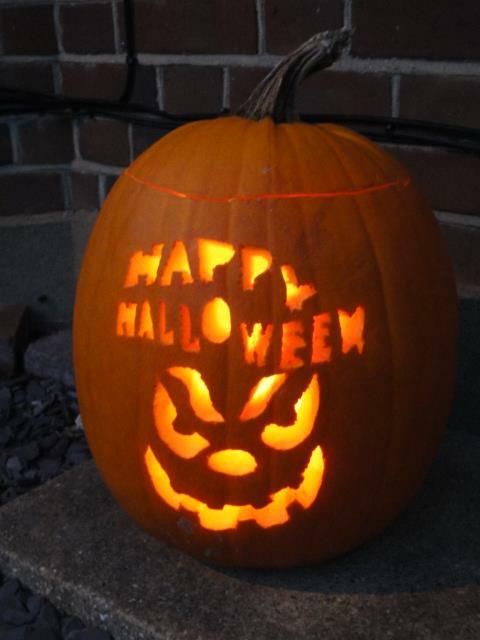 We didn't do anything for Halloween this year but these ideas are great for next year. I love that your family really get into the Halloween spirit! Oh this is such a fab post. I LOVE the efforts you went to and the ghostly wrappings are BRILL!!!!! Hope all is well with you and sorry not been around much lately.